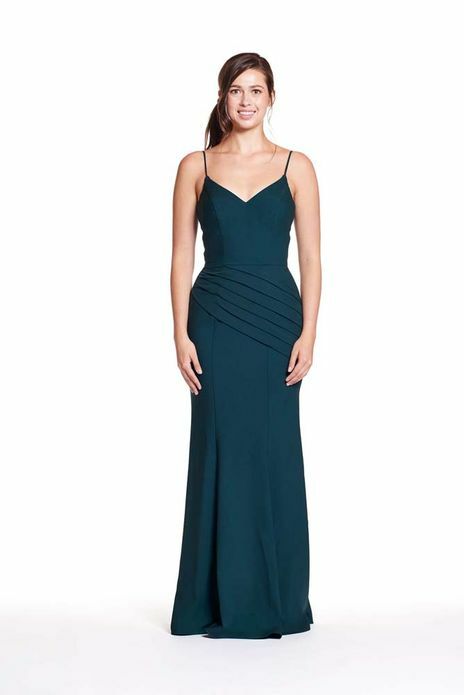 Bary Jay bridesmaid dress style 1901 - Floor length Stretch Crepe gown. Shown in Deep Pine. 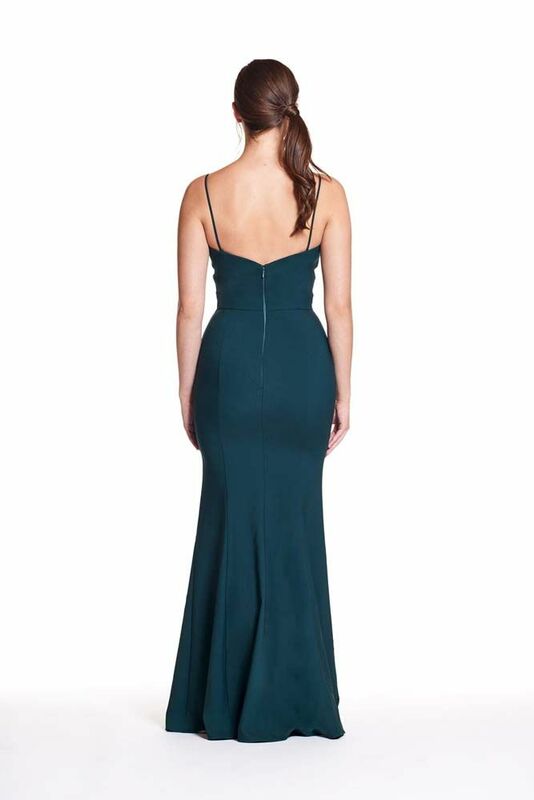 Zippered back.